I thought about doing Paleo. Being vegetarian/sometimes vegan is just so… easy for me now. No hormone or non-hormone worries. No lean or not lean. Props to you people doing Paleo. or Vegan. or Weight Watchers. or WHATEVER! 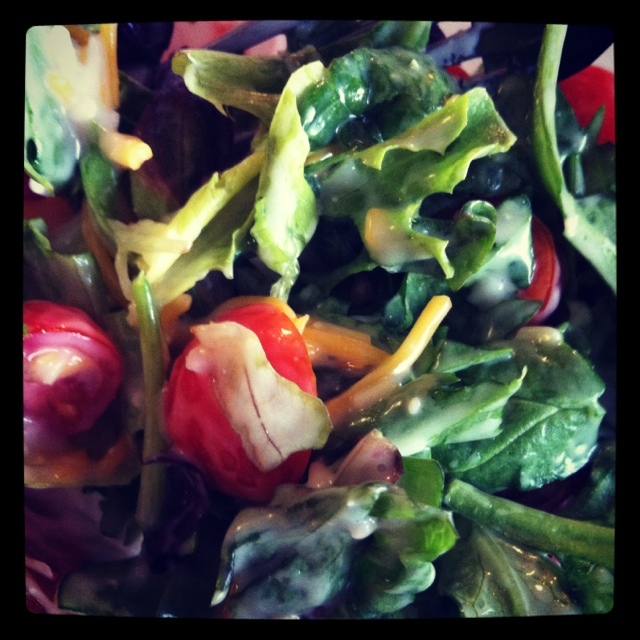 And that’s one of the things that I love so much about The Covenant Diet… it’s not A diet! It really should be called The Covenant Life (but that website was already taken – ha)! The thing is – so much of a successful lifestyle change comes from the heart and not the mind. I can count calories for six-months straight but if I haven’t had a change of heart about food, I’ll probably just revert right back. And this is our goal. We are trying to shift from a food-focus to a faith-focus. Because we need Jesus just as much, if not more, AFTER our diet is over than we did during it. When another salad is just NOT what you really want. When your mom makes her infamous chocolate chip cookies again and you haven’t had them in soooooo long. THAT is when we need Jesus to remind us of our freedom from food. And so it doesn’t matter at that point if you are vegetarian, vegan, rawist, whatever… what matters is that we work on refocusing our minds. What matters is that we allow Christ to redirect our attention to Him over and over and over again. What matters is that we don’t “go” on a diet but that we live in health and freedom. And THAT is what The Covenant Diet is really about.